Do you want to share your Android phone’s screen on your computer? There are many reasons why you might want to share your android phone’s screen on a computer. 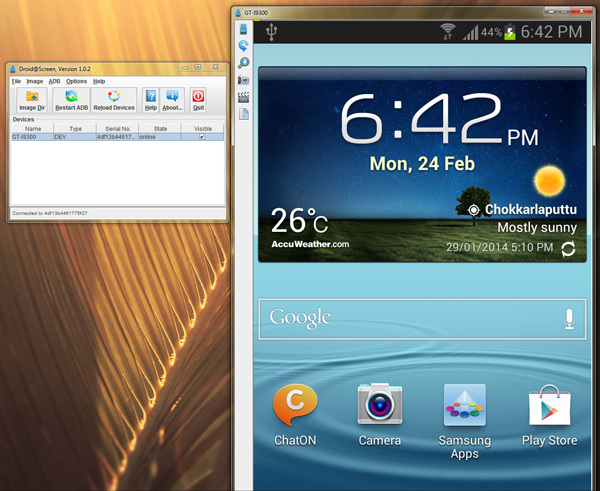 If you are a developer or an app tester, screen sharing would be very useful for you. The only problem with sharing your android phone’s screen on a computer is, most android apps that are capable of doing so would require a rooted android phone or they are paid apps. For those who don’t have a rooted android phone or require a free alternative, here’s an easier method to share your android phone’s screen on a computer. 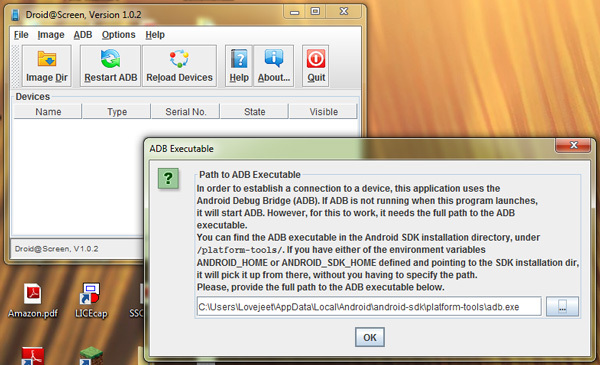 Once you have downloaded and installed the Android SDK, make sure you have the latest version of JAVA installed on your computer. In case JAVA is not up to date on your computer, head over to this link to download the latest updates for JAVA. 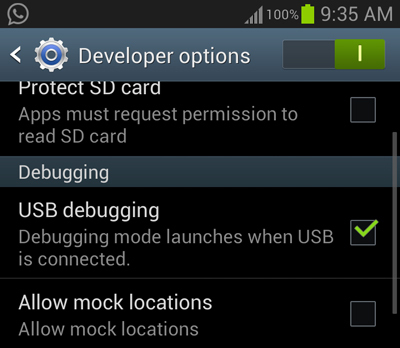 Finally make sure USB debugging is enabled on your android phone. Now follow the detailed instructions below to share your android phone’s screen on your computer. Step 1: Run the Droid @ Screen on your computer. Step 3: Finally connect your android phone to your computer using a USB data cable. Within seconds you would be able to view your android phone’s screen on your computer. The Droid @ Screen tool will let you rotate the screen, zoom in / zoom out, take single screenshots of your phone’s screen or continuously record screenshots and save them to a directory, which you can process later to create a GIF animation. However the only downside of Droid @ screen is, the FPS will be very low, but since it doesn’t require a rooted android phone, we can’t even complain either. Overall Droid @ Screen is a very useful app for sharing your phone’s screen on a computer, especially when your phone isn’t rooted.